Great location - the subway's just down the street, Harlem's best local food and stores around the corners, and a few blocks down was Central Park. Wonderful host - super accommodating and a great person to have a conversation with when you run into her. Great facilities - I totally recommend the Garden King Room for the bathtub alone! Even though breakfast was not included in the price, the kitchen was so well stocked that we (husband/wife/daughter) had a varied and nutritious breakfast for all six days. The apartment itself was extremely spacious, the garden was pretty and the heritage feel of the whole place made us feel that we never wanted to leave. Outstanding base to explore NYC. Spacious living room Kama kitchen, dining room.. large bedroom and bathroom. Excellent Wi-Fi throughout the house. 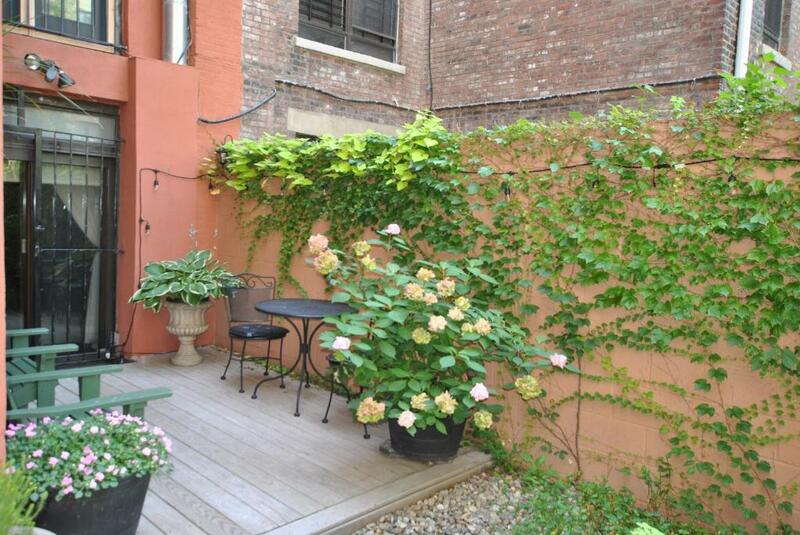 Great location just too short blocks from the subway. Quiet garden and Patio area in the back of house. Clean, convenient to subway, safe. Yolanda was there to welcome and orient us. Offered snack and a beer. Morning coffee and muffin were available. She mailed me my forgotten sunglasses. 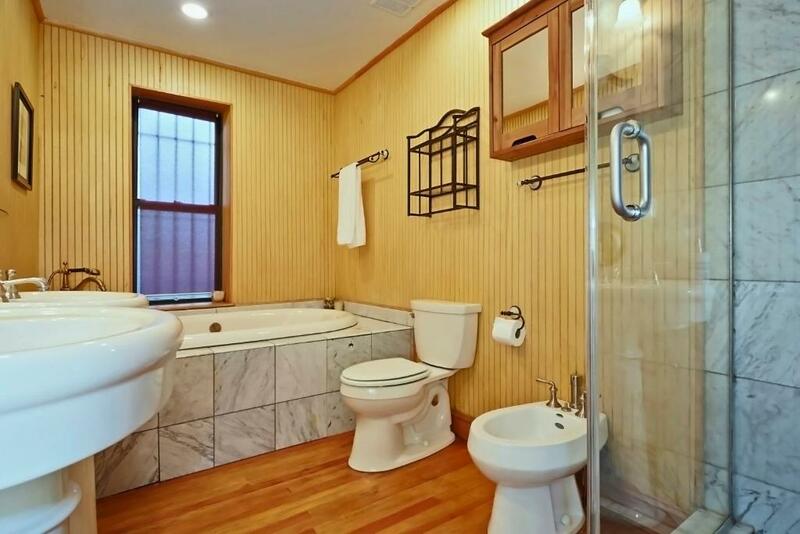 Classy Harlem Brownstone, with all the amenities of a comfortable private home. Yolanda is sensational at making your stay warm, welcoming, and comfortable. She is a gem! Yolanda took such great care of us, it was like staying with a favorite aunt. The room was superb and we were in that gigantic bathtub every single night, thawing from the cold. The kitchen has everything we could wish for, and the location was perfect for our tour of Columbia University. We did not want to leave, ever. Very clean and spacious apartment, richly equipped kitchen, great jacuzzi in one of the apartments, lots of captivating books about Harlem and New York available to read in the living room. 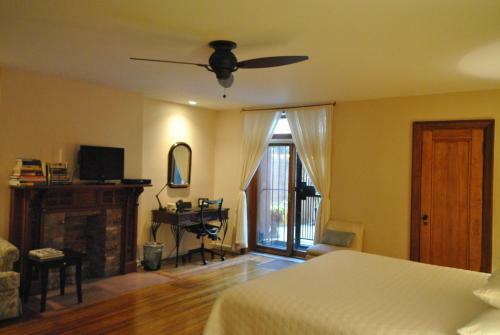 Lock in a great price for Home NYC – rated 9.7 by recent guests! Home NYC This rating is a reflection of how the property compares to the industry standard when it comes to price, facilities and services available. It's based on a self-evaluation by the property. Use this rating to help choose your stay! Home NYC offers self-catering accommodations with free Wi-Fi just 2.7 mi from Central Park in Manhattan. Guests are provided fruits and refreshments upon arrival. Plush bathrobes and slippers are provided for guests at Home NYC. 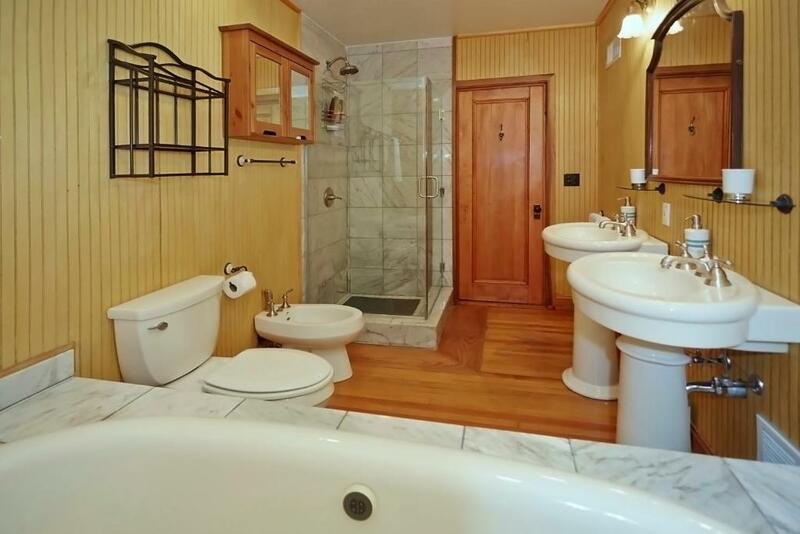 The private bathrooms have a spa bath. Select rooms feature direct access to the garden. Guests at Home NYC Manhattan have access to a shared kitchen. Grocery deliveries and laundry services can be arranged. If you feel like visiting the surroundings, access to the 2 and 3 underground lines at the 116th Street station is 3 minutes’ walk. 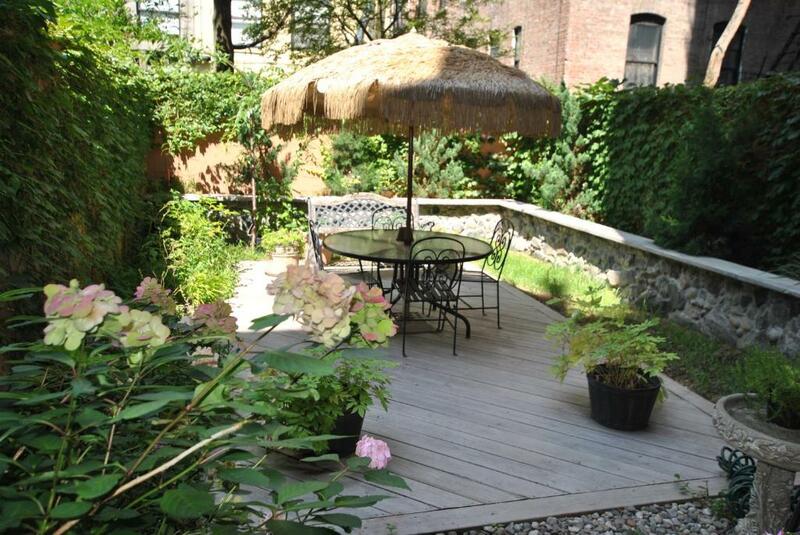 The property is 4 mi from Times Square. When would you like to stay at Home NYC? 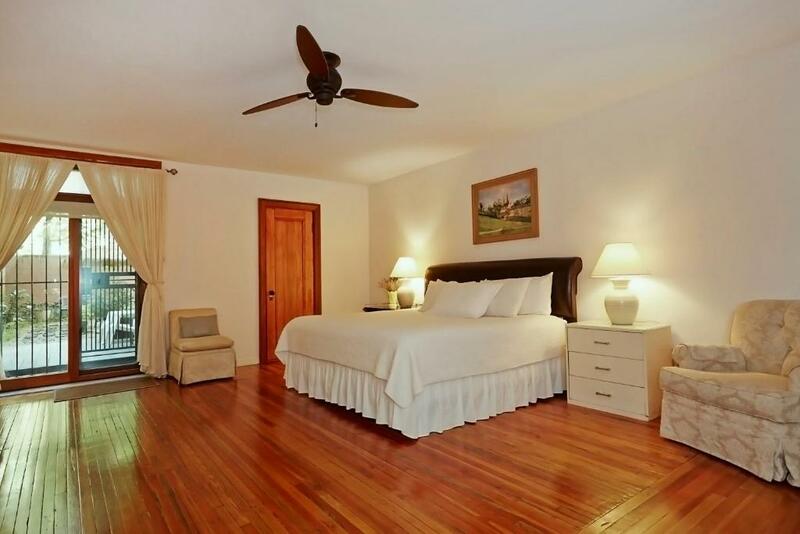 This room features a private private bathroom with a Jacuzzi® and direct access to the garden. This room offers a bathroom featuring a steam shower, bathrobes and slippers. Feel the energy, experience the culture, live the dream. Manhattan – there’s simply nowhere better. From its diverse blend of residents and distinct menu of unique neighborhoods to its unmatched mix of culture, architecture and vitality, the city has it all. Yet within this great mecca lies a space that’s all yours to experience – a place to retreat and relax in when the sun rises, and after the days of touring or business is done, so picture this tree lined street with a row of Brownstones houses in Historic West Harlem, immaculately restored to their stately pride; but one is special, the one only a few steps to Mount Morris Park and Central Park. With a total of two floors, its parlor and garden floors is approx. 2,200 sq. ft. with high ceilings, on the parlor floor you'll find a large living room, dining room and a half bath, a fully equipped windowed kitchen, where you can cook your own meal if you choose to, there are food shopping stores along Lenox Avenue, complimentary coffees and teas are in house. Originally from Jamaica, I have always been intrigued with travel and far away places. A New York City resident for 45 years,. I have long enjoyed success in various service industries, beginning with my career as flight attendant which brought me to Manhattan 45 years ago, then subsequently in fashion industry for 15 years, where I held prominent positions as a boutique manager then owner of my own upscale establishments on Columbus Avenue and in SoHo My years in real estate began with a focus in Harlem. I am fascinated with the distinctive architecture there, especially brownstones and townhouses with wide boulevards and tree lined streets inherent in the area. I will enthusiastically shares my vision with you about the area. I entered the field in 1997, and has since capably worked with people of all kinds to achieve their individual real estate goals. Though a world traveler, I adores life in Manhattan, and was proud to raise my son here. No matter what your needs, I welcomes the opportunity to help you find your right Big Apple moment. Area Info – This neighborhood is a great choice for travelers interested in culture, parks and city walks – Check location Excellent location – show map Guests loved walking around the neighborhood! House Rules Home NYC takes special requests – add in the next step! Home NYC accepts these cards and reserves the right to temporarily hold an amount prior to arrival. Please inform Home NYC of your expected arrival time in advance. You can use the Special Requests box when booking, or contact the property directly using the contact details in your confirmation. Beautiful decor and access to great kitchen. We had the spacious room with en suite bathroom and access to garden/patio. The hostess, Yolanda, is very welcoming and provides all the information you might require to visit or shop in the neighborhood and Harlem. Highly recommended! The bed frame was very noisy but otherwise comfortable. Even with all the lights on the room was quite dark which made it a little difficult to see what you were doing, such as reading and applying makeup. The 50 dollar cleaning fee was unusual, I wasn't sure why this payment should be added on top of the room rate. 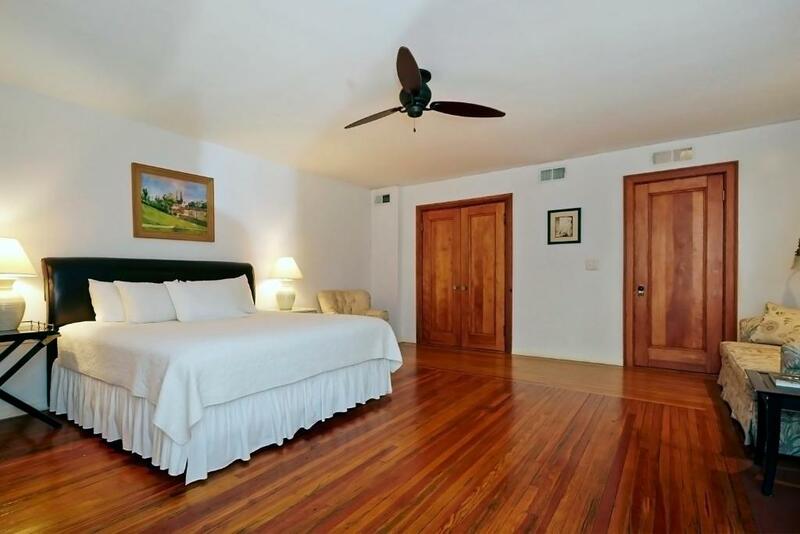 Spacious rooms and private bathroom. The host was very helpful and allowed us to access the house a little earlier than the normal check in time. When we checked out she arranged a taxi for us. There was a brief moment where there was a home-wide problem with the hot water not working for a day or two, but Yolanda caught it before we did and quickly had it fixed the next day. Nothing negative to stay at all. Our host was lovely, exceedingly helpful and her home was comfortable and truly felt like home in NYC. We would both recommend her place and stay here again ourselves. 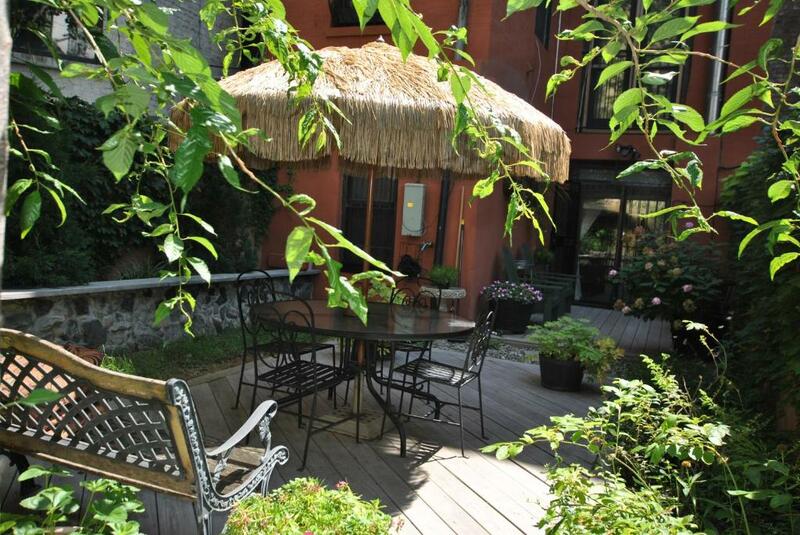 Lovely accommodation in a fantastic location - only 4 subway stops from Times Square. Would definitely stay here again if travelling to New York! Lovely spacious apartment with great facilities and very friendly host . Yolanda gave us all needed information at the begining of our stay. The subway is a one block away within 2 min. walk from the apartment. Very safe and quiet area. Don't hesitate just book before is too late. Perfect stay at a perfect place. This was one of the best accommodations we ever had. The owner was very nice and helpful. The accommodation is beautifully decorated and very very spacious. It was just perfect. Not applicable. We didn't dislike a thing. The owner is very kind and friendly. Comfortable and close to a station.